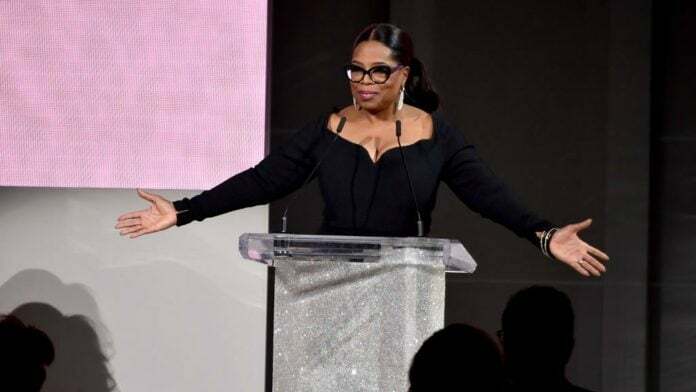 Media mogul, Oprah Winfrey announced that she is adding her coins to True Food Kitchen, and is investing in the award-winning restaurant chain that prides itself on a health-conscious menu, according to the Hollywood Reporter. Winfrey who launched a cookbook and a line of her own comfort food with a healthy twist, will also serve on the True Food Kitchen board of directors as a consultant. And considering that Winfrey has the experience having served on the board of Weight Watchers, the collaboration seems fitting to add another notch to her growing empire. “I love bringing people together over a good meal,” Winfrey said. The OWN network CEO learned about True Food Kitchen from a friend, and health expert, Bob Greene. Greene’s passion about the brand led him to invite Winfrey to dine at the company’s Santa Monica location. There, Greene explained the premise of how a lifestyle and healthy eating go together. Winfrey signed on as an equity investor and with her partnership, the brand has plans to expand its 23 locations and double its stores by 2021, according to reports. Winfrey will also give insight on the brand’s marketing and expansion plans. “Ms. Winfrey is such an incredibly accomplished businesswoman,” said True Food Kitchen CEO Christine Barone. “When Ms. Winfrey and I first sat down to discuss her potential investment, I was impressed by her genuine passion for the intention behind True Food,” Barone explained. Barone continued: “Every single one of our restaurants is a bit different and integrates itself into the local community,” she explained. True Food Kitchen plans to expand to New York, New Jersey, North Carolina, Florida and Maryland. Also, two new locations in Jacksonville, Florida, and Nashville are expected to open by the end of the year. True Food Kitchen was established in 2008 by Dr. Andrew Weil and focuses on an anti-inflammatory diet.